With a resume containing Bend It Like Beckham and Angus, Thongs and Perfect Snogging, director Gurinder Chadha may not have seemed to be the immediate choice to bring a tragic, historical epic to the screen. 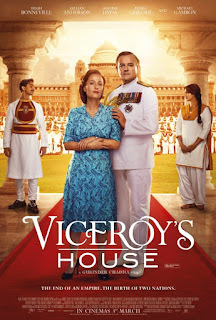 However, when the director made a short introduction at the London screening of her new film Viceroy’s House, she explained her personal connection to this ambitious project. 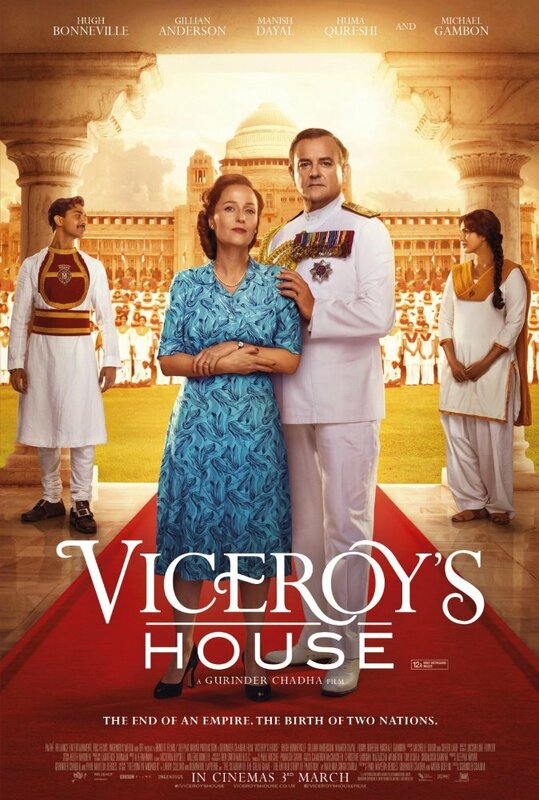 Viceroy's House recounts the true story of the final bloody months in 1947 during the handing over of power from the British Empire back to the people of India, after three centuries of colonial rule. Lord Mountbatten, as the last Viceroy, reluctantly agreed to the partition of the British Indian Empire into India and Pakistan. For Ms. Chadha, this was a personally poignant story, as her grandparents were among the estimated fourteen million people who were made refugees as a result. The movie begins as Victoria’s great-grandson Lord Mountbatten (Hugh Bonneville) is tasked with overseeing the transition. He accepts the position of the last Viceroy of India with the intention of giving the nation back to its people. On his arrival however, his family is confronted with a nation being ravaged by religious conflict. Upstairs in the Viceroy’s house, we see clashes and disputes between various political leaders, including Nehru, Jinnah and Gandhi, as difficult decisions must be made to create an independent India, possibly divided by the formation of a separate homeland for the Muslim minority. 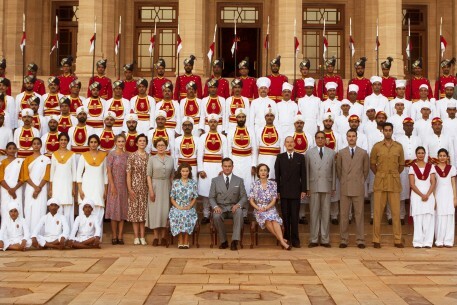 The Viceroy’s House also contains five hundred ‘downstairs’ staff, which comprises of Muslim, Hindu and Sikh servants. Under the roof of the splendid Umaid Bahwan Palace in Jodhpur, we witness the political conflict raging above stairs, but also see the mounting tension and ill-feeling between the ‘downstairs’ servants and staff, whose lives are on the brink of an unprecedented upheaval. The scope of Ms, Chadha’s film, which she co-wrote with husband, collaborator and screenwriter Paul Mayeda Berges, may be ambitious and epic, but the centre of the story involves the secret relationship between a young Hindu servant, Jeet (Manish Dayal), and the woman he loves, Aalia, a Muslim (Huma Qureshi). 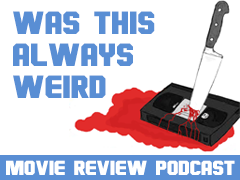 Their story may be conventionally that of ‘star-crossed lovers’, but both actors deliver engaging performances and manage to portray the human collateral damage that results from the realpolitik machinations of foreign governments. We are also made aware of the disconnection between the British administration and Indian people: Mountbatten’s advisers are patronising and look to Westminster for guidance, and we learn of some of the more absurd aspects of partition history, such as the fact that Cyril Radcliffe, ostensibly given the task of deciding where the borders of Pakistan and India should be drawn, had never previously set foot in India. As Mountbatten, an unwitting pawn in a greater political game, Hugh Bonneville remains a sympathetic figure. His politically savvy and philanthropic wife, Edwina Mountbatten, is elegantly portrayed by Gillian Anderson, who deftly elicits feeling from an occasionally stilted script. 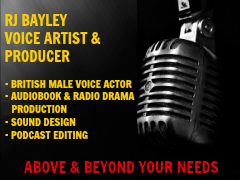 Ms. Chadha has also assembled an outstanding supporting cast, including respected British thespians Sir Michael Gambon and Simon Callow, who play General Hastings Ismay (Pug) and Cyril Radcliffe, and Indian film and theatre actor Neeraj Kabi, who convinces as Mahatma Gandhi. The late Om Puri brings his imposing presence to a minor part as Aalia’s father (sadly, it proved to be his final role) and Manish Dayal gives a standout performance as Jeet, reminiscent of Omar Sharif as Zhivago. The lush backdrop of India (largely shot in the area of Jodhpur in Rajasthan) never fails to be visually stunning, and the use of thousands of extras instead of computer-generated enhancements adds to the realism and epic breadth of the film. AR Rahman’s (Slumdog Millionaire) score proves an emotive soundtrack. One cannot fail to be impressed by the scope, ambition, and execution of the Viceroy’s House, and while the dramatic nature of the film's final act reflects the huge scale of the tragedy, it occasionally teeters on the brink of melodrama and excessive sentimentality, particularly during the denouement of the central love story. However, the film succeeds in highlighting a little-known aspect of Britain's colonial past in a manner that is accessible, enlightening, and unfailingly engaging.